Click the icon below to view this data. Los Angeles County Schools, Orange County Schools, Select districts throughout the state. Click on the icon to the left to view the report I compiled in June of 2018. In the 1st column is the list of school districts in order of highest salary. In the 2nd column is the salary. I have color coded those in yellow that are higher than the salary for Lawndale. Those color coded in blue are those of the South Bay. In the 3rd column are the number of years in the contract for that district. Those with a red background are those with a contract shorter than the 19 years of the Lawndale contract. 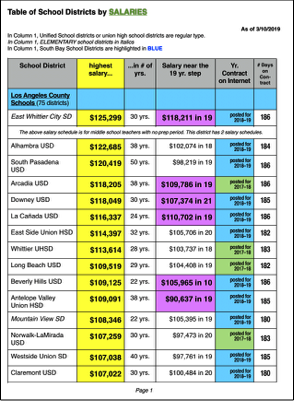 In the 4th column is the salary of that district at 19 years which is the Lawndale contract. Those with a purple background are the salaries that are still higher than that of our district! In the 5th column is the year for which I could collect the data for that district. The green background is the current contract; red background is contract for a previous year(s). Not all district sites posting salary info are up-to-date. The blue background is for the districts that have already published their current contract which is for the 2018-19 school year . 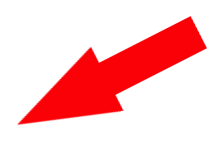 In the 6th column is the number of days in the school year for that district. for the 2018-19 fiscal year! This is an increase of almost 1/3! We know districts have to pay a higher percentage of our retirement to STRS. 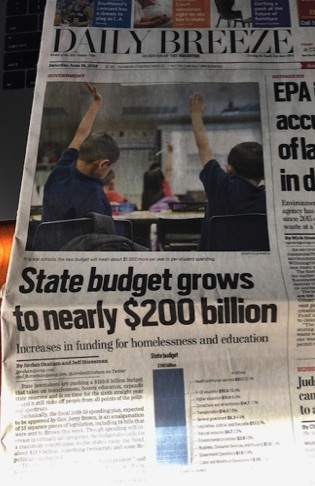 How will our district be spending the other funds? 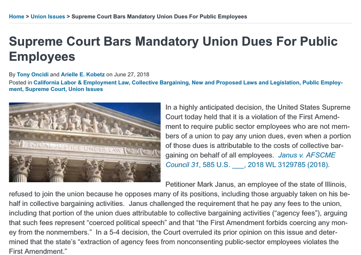 California State Supreme Court maintains requirement of membership in unions...U.S. Supreme Court rules members can leave the union. Many unions are worried about losing a high number of members. My own thought it is the unions are doing what the members want, they will not have to worry about losing the majority of their members. Click on the icon above to read the article. Does this apply to our district? What about the package for our new superintendent? The following 3 topics are items regarding great practices in the RBUSD. Why not other districts? What can we learn from RBUSD? RBUSD gives assistance to teachers with home loans so that educators can stay in the district. 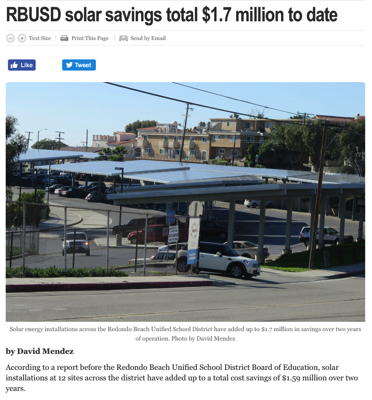 RBUSD Makes Money with Solar Power...why not other school districts? 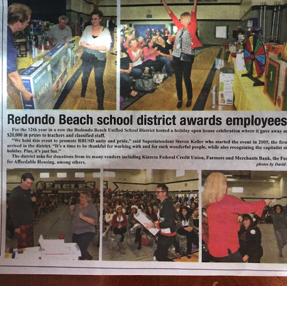 For the 12th year in a row, the RBUSD hosted a holiday open house and gave over $20,000 in prizes to teachers and classified staff. "It's our time to be thankful for working with and for such wonderful people..." said Superintendent Steven Keller. Click on the icon to the left to read the article. About 8 years ago, when teacher salaries were cut, I started attending LTA so that I could help in our fight for proper salaries. At the time, while teachers were not given a raise, our superintendent was...the reason was that her salary was low compared to the salaries of other superintendents. I enjoy research, so I asked if I could review the contract of our superintendent. I completed a report, but the union did not want to share this information with teachers. The argument was that the teachers' unions deal with teacher salaries and not that of other groups. I next researched on the Internet the salaries of superintendents across the county. My own opinion was that the salary of our superintendent was fine without the raise, but the union did not want to see, nor share, this info with teachers. I would be more than happy to review the contract of our new superintendent to see if she received an increase in salary and compare her salary to that of other superintendents. 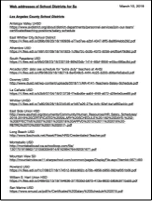 Next, I wanted to conduct research on teacher salaries across the South Bay....but then Los Angeles County, Orange County, and other districts throughout the state. I first compared the salaries of local school districts. I was told, and indeed we (the LTA) were, towards the top of the salary schedules. I next asked why we did not receive a stipend for graduate degrees. Teachers did at my previous two school districts. I was told that we did not receive stipends in our district because our contract is short (only 19 years) and as a result we receive our top salary in a short amount of time. I was told that many district contracts are much longer than 20 or even 25 years, so we should be happy. I was also given the second reason that our salary was very high, so we should not worry about additional stipends. So the next time I created my report, I looked at stipends for graduate degrees and I looked at the length of district contracts. 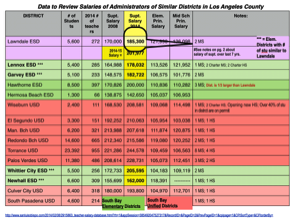 Then, next time, I also compared the salaries of ALL of the districts in Los Angeles County. The next time I completed the report, I then looked at the salaries in districts with long contracts...I how did their salary on 30-year contract compare with our salary on a 19 year contract? After talking with colleagues about salaries, I heard about salaries of districts in other counties, so I researched all of the districts in Orange County. The next time, I started to conduct research regarding a few other districts throughout the state. Please not that two years ago, we in Lawndale received a salary increase, but part of the increase was also compiled by adding 2 more days to our school year. So in my next report, I also researched the number of days in school district contracts that I found as I conducted my research. 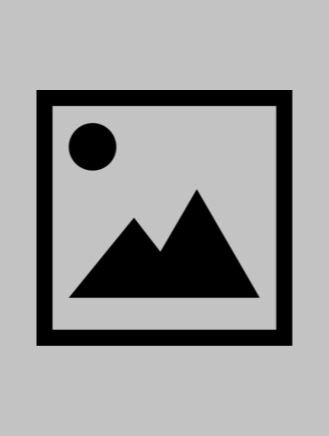 Please feel free to click on the icons below if you would like to see the data that I have compiled over the years. I do think that all teachers should be aware of such information before each individual makes a decision on their vote for the proposed contract. I know there are a few errors on my reports....there must be! I have looked at hundreds of salary schedules many times. I would enjoy working on such research with colleagues so that it would. In the 1st column is the list of school districts in order of highest salary. In the 2nd column is the salary. I have color coded those in yellow that are higher than the salary for Lawndale. In the 4th column is the stipend if awarded for those who earned a Master's Degree. The Lawndale School District does not give such an award to teachers. In the 4th column is the stipend if awarded for those who earned a Doctoral Degree. The Lawndale School District does not give such an award to teachers, but it does to district administrators, including school principals and the superintendent. We make less money today than we did 10 years ago! There was an economic freeze across the country that started approximately 10 years ago. That is when we had a freeze in our salary. Over the last 10 years, the cost of living (C.O.L.A.) has increased more than our salary. To the left is a chart to show the difference between our increase in salary and C.O.L.A. The C.O.L.A. is provided by a federal web site. 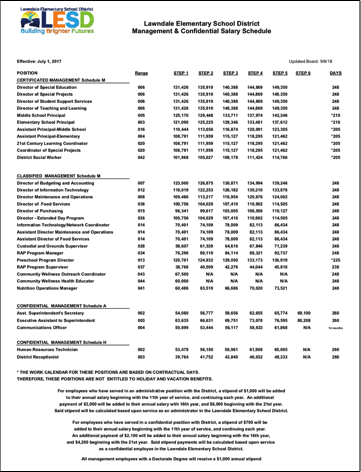 The Lawndale salary increase was data provided by our district office. As a result, our current salary is .45% less than the cost of living adjustment (C.O.L.A.) when compared over the last 10 years. One can look back in more years on the chart for either C.O.L.A. and/or our Lawndale salary increase. I use 2008 as the time of the beginning of our national economic crisis. BUT...the federal government has announced last month an increase of 2.8% as the cost of living increase for 2018! This increase in benefits to social security recipients begins payment Dec. 31, 2018. I believe that our salary negotiations for 2018-19 should include this C.O.L.A.! For C.O.L.A. figures from a federal web site, click on this text to go to the website. C.O.L.A. in Los Angeles area is greater than the rest of the state and the country! In the last 8 years with our teacher salary below the cost of living, I've given up travel, season tickets to several events, subscriptions to publications, etc. I also no longer pay off my credit card balances each month. My rent went up $8,880 this year. I was going to move, but I found out that even though my rent went-up, it is still the lowest in the greater South Bay. I thought life was to get easier as one approchaes retirement! ...if we hope to be making the same money that relates to our cost of living. Click on the text above to take you to the CNN article about this topic. I thank the LTA for supporting me with 2 incidents this year! I would be more than happy to share with anyone who would like to know what I faced this year with administration! Thank you very much to our Addams site reps and LTA officers! Yes, our salary is quite high...in the South Bay. But did you know that there are teachers in Los Angeles County who make up to $23,000 more a year than we do! There are people in a district in northern California who work only 2 days more than we do, but earn $45,000 more a year than we do? On the very sad side of teacher pay, there are those who make $20,000 less a year than we do. It is not right! 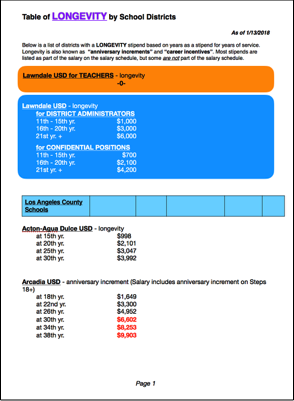 Below is the latest report I completed about salary schedules in Los Angeles County, Orange County, and select districts in the state. 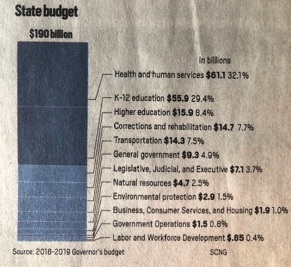 I know that districts spend more on teachers than salary...another great cost is health care. I have never been able to find data that collects salary and other factors of compensation for teachers. When I asked about stipends, I was told that since our pay is so high, we should not worry about stipends. So I conducted research on stipends around the state. See the data below. I believe that teachers in our district should receive stipends for Masters and Doctoral degrees! In my dissertation about reasons for success at middle schools, I interviewed all of the middle school teachers at Addams and Rogers. I learned that 83% of the middle school teachers in our district have earned a Master's degree...this is compared with data that shows that 39% of teachers in California have a Master's degree. Lawndale is so incredible fortunate to have staff to highly qualified to teach...yet, we are not treated for our knowledge nor does it show in our compensation! In my dissertation, "Adler" is Addams Middle School, "Baker" is Rogers Middle School. DISTRICT OFFICIALS RECEIVE A STIPEND! Is our salary schedule that high that management should get such a stipend while teachers do not? LTA...please add this for negotiations this year! And don't ask for just $1,000...that is nothing after taxes. Please look at what Orange County schools and other districts in Los Angeles County offer their teachers! Below is the report that I completed in June, 2018. 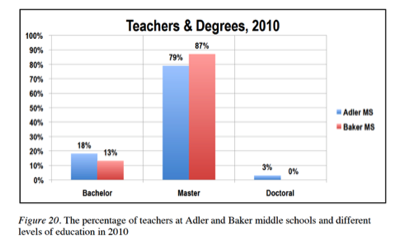 Look at what districts offer their teachers who earned doctoral degrees. Lawndale offers administrators a stipend, but not teachers. Another topic came to mind after I have completed 6-7 reports regarding salary...this new topic is longevity. It is something that the Lawndale Elementary School District honors for district and site administrators, BUT NOT FOR TEACHERS! Many districts compensate employees for their many years working in the district. And many districts include teachers in this compensation. But Lawndale does not. I hope this is a topic that LTA will consider in negotiations. Click on the icon above to see the data I compiled regarding "longevity" and/or "anniversary" compensation. For employees who have served in an administrative position with the District, a stipend of $1,000 will be added to their annual salary beginning with the 11th year of service, and continuing each year. An additional payment of $3,000 will be added to their annual salary with 16th year, and $6,000 beginning with the 21st year. Said stipend will be calculated based upon service as an administrator in the Lawndale Elementary School District. For employees who have served in a confidential position with District, a stipend of $700 will be added to their annual salary beginning with the 11th year of service, and continuing each year. An additional payment of $2,100 will be added to their annual salary beginning with the 16th year, and $4,200 beginning with the 21st year. Said stipend payments will be calculated based upon service as a confidential employee in the Lawndale Elementary School District. I have not reviewed this web site in great detail. Please let me know when you see any and all errors! How is money being spent! 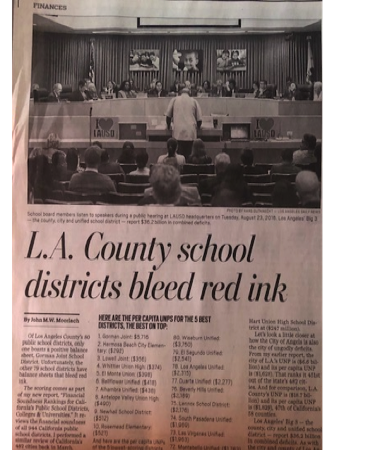 All schools in L.A. County (except 1) are spending in the red! What is the story for Lawndale? This story was in the Daily Breeze on Dec. 2. Click on the link above to read..
A similar story on the Internet...click on this text to read. 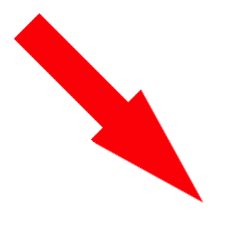 If you would like the web address that I acquired when I was searching in the Internet for salary schedules, please click to your right. The name of the school district and the site from where I acquired the data is there. Click on the icon to the left to view the report I compiled on March 10, 2019. In the 5th column is the year for which I could collect the data for that district. The green background is the current contract; red background is contract for a previous year(s). Not all district sites posting salary info are up-to-date. The blue background is for the districts that have already published their current contract which is for the 2018-19 school year. The last time I compiled this data was June of 2018. Few districts had posted their 2018-19 salary schedule. But this has changed (see the blue background in the 5th column).